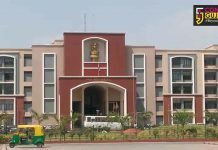 Bhimrao Ramji Ambedkar, popularly known as Babasaheb Ambedkar, was an Indian jurist, economist, politician and social reformer who inspired the Dalit Buddhist movement and campaigned against social discrimination towards the untouchables, while also supporting the rights of women and labour. He was independent India’s first law and justice minister, the architect of the Constitution of India, and a founding father of the Republic of India. Ambedkar was a prolific student earning doctorates in economics from both Columbia University and the London School of Economics and gained a reputation as a scholar for his research in law, economics, and political science. In his early career, he was an economist, professor, and lawyer. His later life was marked by his political activities; he became involved in campaigning and negotiations for India’s independence, publishing journals, advocating political rights and social freedom. President Ram Nath Kovind and Prime Minister Narendra Modi paid homage to Dalit social reformer and father of the Indian Constitution Dr BR Ambedkar on his 128th birth anniversary, also known as Ambedkar Jayanti or Bhim Jayanti. 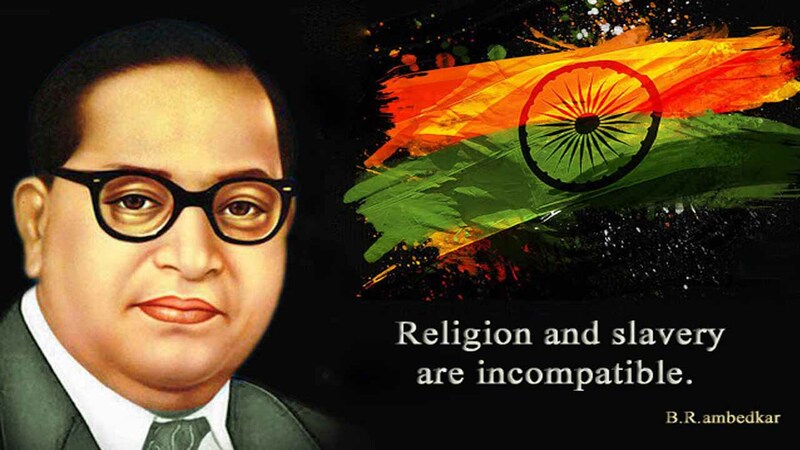 A social reformer, economist and jurist, BR Ambedkar was the force behind the Dalit Buddhist Movement in India. “Homage to Dr B.R. Ambedkar on his birth anniversary. 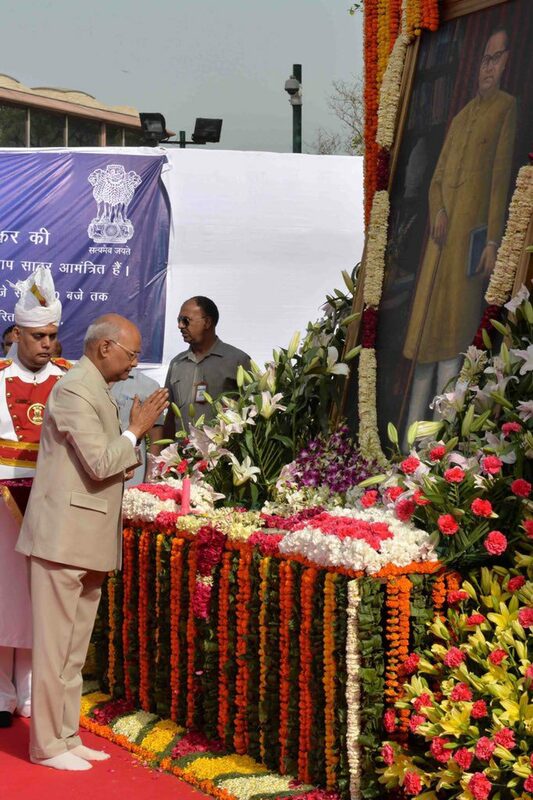 An icon of our nation, and Chief Architect of the Constitution, Dr Ambedkar waged a life-long struggle for a modern India free of caste and other prejudices, ensuring equal rights for women and weaker sections,” President Kovind tweeted on Ambedkar Jayanti, after which he paid floral tributes at Parliament House Lawns in New Delhi. Congress chief Rahul Gandhi also took to Twitter to remember Babasaheb on Ambedkar Jayanti, who dedicated his life to working for the upliftment of untouchables, women, and labourers.On Dr Babasaheb Ambedkar’s jayanti, let us re-dedicate ourselves to the 4 universal values of JUSTICE, LIBERTY, EQUALITY & FRATERNITY enshrined in our Constitution. Those who pay him tributes on this day, while insidiously weakening these values, do his memory disservice Gandhi said.